There’s a large bin in most produce sections that gets ignored by 99% of shoppers. This could be because the stuff in this bin is kind of strange looking or just because most of its contents are ugly! Welcome to the root vegetable bin and I’d recommend that you stop for a second the next time you pass by it on your way to the Yukon potatoes. This section can be intimidating because the vegetables all kind of look the same, they are hardly ever labeled correctly, and they don’t really look like anything you’d want to put in your mouth. But with a bit of faith, some peeling, and some butter, you can turn these ugly lumps into a mash that’s as good and interesting as any mashed potatoes I’ve ever had. 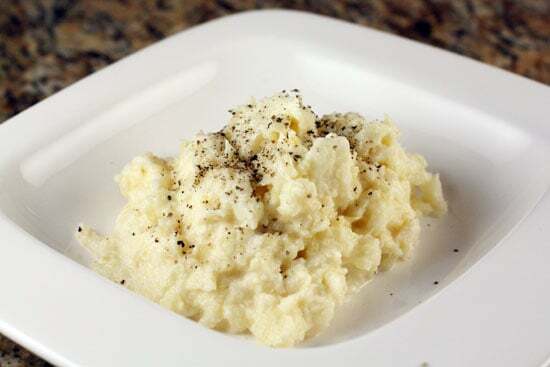 Mashed parsnips, rutabaga, and celery root make for a delicious substitute for the standard mashed potatoes. 1) Peel your roots and chop them into 1 inch cubes. 2) Boil in lightly salted water until the roots are tender, about 10 minutes. 3) Drain roots, add in dairy, and mash with a fork, masher, and/or hand mixer until the mash gets to the consistency you want. It won’t get perfectly creamy so don’t worry about it. 4) Season with salt and pepper and serve with gravy or a slow cooked protein. This can be kind of a daunting area of the produce section because most of the time it’s not sorted well at all. Sometimes a supermarket employee can help you hunt through the bin, but mostly you’ll be on your own. 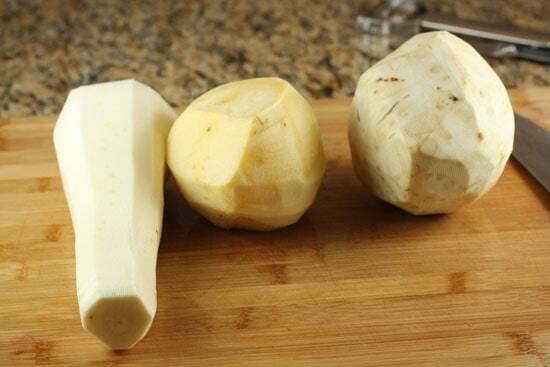 Here’s a primer on the three root veggies I used in this post that are almost always available. Parsnips: Think of them as carrots without the orange. They don’t taste like carrots really, but otherwise they look identical. Rutabaga: These guys are actually from the same family as turnips. Sometimes it’ll be hard to tell the difference between the two. Turnips sometimes have a reddish hue to them, but they don’t have to have that. Rutabaga are usually bigger but again, not always the case. For a dish like this, I think you could use either, but I went with rutabaga. 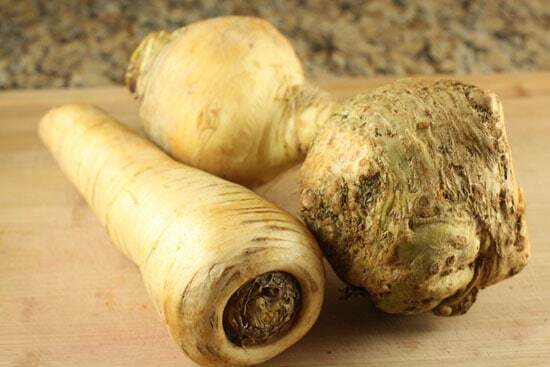 Celeriac or Celery Root: The ugly root of the veggie world. These guys look like they had a bad case of veggie acne. 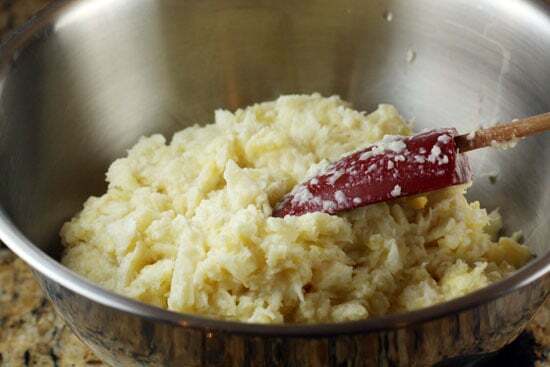 This mash is very similar to a standard mashed potato dish. Once you get your veggies home, you need to peel them. The only tricky part of peeling these guys is the celery root. With all it’s crags and notches, it’s kind of a beast to peel. Just keep shaving it down though or use a paring knife until all the skin is off and you’re left with a smooth orb of celery root. Celery root is kind of hard to peel. Then dice all these roots up into 1 inch cubes. Now they will all kind of look the same and it won’t really matter what’s what. 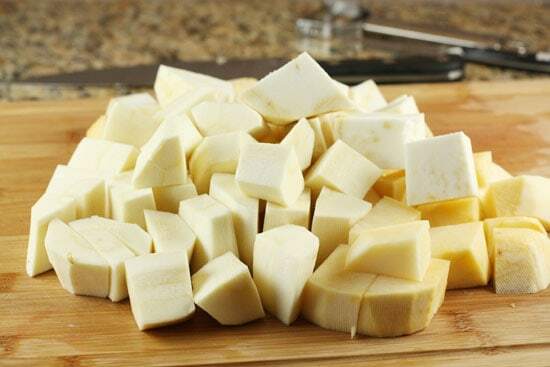 Boil the veggie cubes in lightly salted water until they are tender. The celery root will float actually so stir it every few minutes to make sure they cook evenly. My roots were tender after about 10 minutes of boiling. Once your roots are done boiling, it’s important to work fast. You want to make sure to mash these guys while they are still piping hot. One big note on this dish is that it’s a bit harder to mash these veggies if you’re used to just mashing potatoes. I started by draining the roots, adding my dairy, and mashing them with a fork. After some mashing, I switched to a hand mixer to finish it off. The thing about this mash is that it just won’t get as smooth as a really creamy mashed potato. The roots are just a bit more rustic and no matter how much you mash and mix, there will be a few lumps. That’s okay though. Don’t stress about it. The lumps are fine and the whole thing will end up being very delicious. 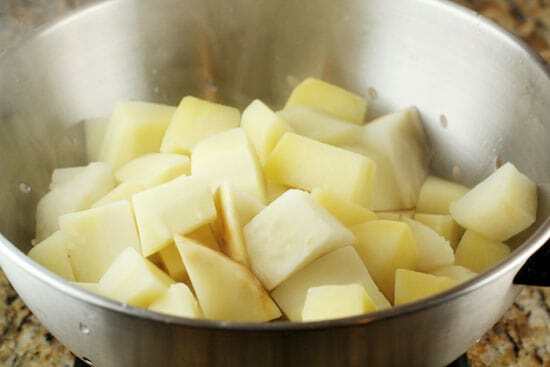 Feel free to add more or less dairy to get the texture you want and also taste the mash for salt and pepper. Don’t skimp on the dairy. This mash will shock people. It looks like mashed potatoes but has a tangy bite to it that works really well with a wide range of dishes. It works best with heavier meat dishes or with gravy. It holds up great to those things. 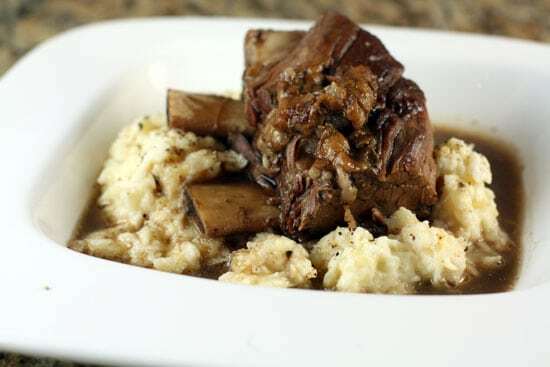 I served mine with my crock pot short ribs that I made a few weeks ago. It was killer. I really liked this, but I was surprised that Betsy said she liked it even more than mashed potatoes. I say I was surprised just because I know how much Betsy likes mashed potatoes. So that’s saying something! This was my first veggie mash and I was really impressed by it. I’ll definitely be making this one again. So dive into that root vegetable bin the next time you walk by and give this a shot! I am so glad you posted this recipe! I keep passing the root vegetables and wanting to buy some, but I had no clue what to do with them! Do it! It's simple and very straightforward. If I mash it, my kids will eat it….moooost of the time. Parsnips can be a bit bitter sometimes but if they think it's mash potatoes they will keep tasting it and keep questioning what is on their plate. "Are you sure Mom that these are mashed potatoes? They don't taste like it." Other great combos are mashed potatoes and mashed carrots or sweet potatoes. Also mashed califlower and celery root. I think the secret is lots of butter and if you have it a smidge of cream. ooo…those short ribs sure look and smell good. QUESTION: I just read your recipe for the short ribs. If I can find the ribs, I think I am going to make these tonight and use your suggestion to refrig. so we can have them for New Years Eve gathering. Sounds like a no-fail recipe. My question is about the cutting up part. What kind of knife do you use to cut through the bones? I've never cut through bones and your directions look like I have to cut through bone to cut the ribs in pieces. No no no. The ribs SHOULD come already cut. In that recipe I'm actually cutting in between the bones to separate the ribs into servings. That said, when you buy the ribs, make sure that they are cut already. You'll know if they aren't because short ribs are actually about a foot long. If they are cut, you should see four or five cross-sections of ribs which means your butcher has ran the rib section through the saw to chop them up. I know all of this because I actually bought them NOT cut one time and had to get a hacksaw to cut them up into smaller pieces so they would even fit in my pot. The bones are like an inch thick and basically impossible to cut through. But 99% of the time they will be already cut for you. You'll just need to cut in between the bones to make them easier to serve which you can do with any sharp knife. Gocha! and NO I can't actually smell your short ribs but your photo looks so awesome I can tell how good they smelled when you were taking your photo of them. Wouldn't it be great though if Apple or Microsoft did come up with SMELL-A-VISION…….maybe something for the smart guys on Big-Bang-Theory to work on for us…..ha. If I boil them longer can I get the creamy consistency like mashed potatoes? My husband (for once!) is really picky about lumpy mashed potatoes, so I have doubts that this will be an option if that didn't work. I'd be interested if for no other reason than just to try something different, since we seem to get stuck in a "food rut" too often. If you want a smoother consistency, you can either blend them or use a ricer. I prefer the ricer as I don’t have to have as much liquid as I would with a blender. OK…..I followed the rib recipe. This was a very easy recipe. I put them in the crock pot around midnight so they could cook all night. My husband loved watching when I poured the beer in the pan to scrape up the bits. He found that part really interesting. The house smells amazing. I'm going to serve this for New Years Eve. Had to come back and find this post just to comment on it. This inspired a great side dish so I just wanted to say thanks. Make this root veggie combo, it's fantastic? We added a bit of cauliflower to the mix and cooked items separately as some take a bit longer than others (e.g. cauliflower cooks the fastest if used). We also used a pastry cutter to mash things up and it worked really well for that rustic texture. Served it with Berkshire Pork for News and this smash was a hit. Wow wow wow! This was awesome and had such a full flavor. I made it with a roast and it was a great pair. My husband is one month post-bariatric surgery, so he tried this for dinner, too, and raved about it – multiple times. Thanks for a great idea – I had never cooked with any of those veggies before and this was a great introduction. « Resolutions: Then and Now Recipes Home » The Internet Kitchen: New Year’s Eve!